The Philadelphia Guild’s very own Sherman Oberson recently became President of the American Regional Board of the International Polymer Clay Association. Congratulations Sherman! Sherman is also President of our local guild and one of the forces behind Clayathon which had a record 80+ attendees this year. When he is not teaching polymer clay classes at one of the many art centers around Philadelphia, Sherman is busy consulting and designing for Penn State Industries who chose him to help them expand their marketing reach from wood crafts to polymer clay. Sherman’s work is pretty spectacular too. To have a look, press here and here. Here is a video Sherman made for Penn State Industries. To go to our YouTube channel, click here. 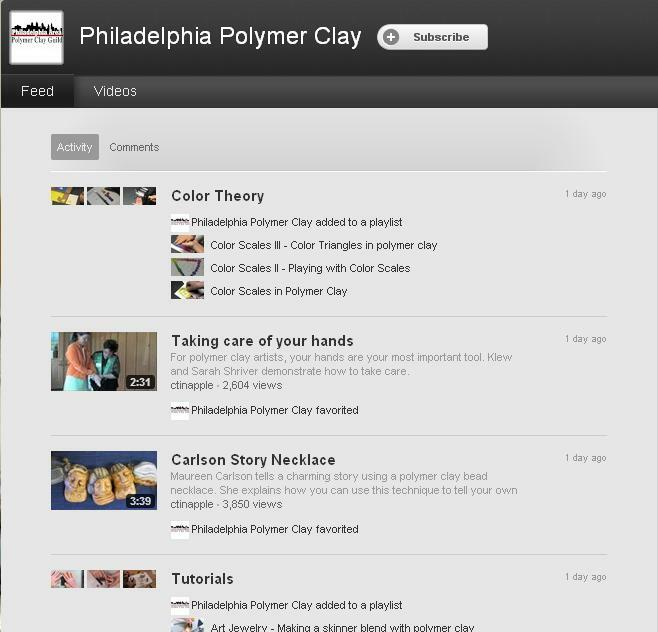 We’ll be featuring our own videos and playlists of videos from around YouTube. Press here to see a video from our April 2012 meeting.